With Alexandre Desplat’s opening chords of music with unrelenting percussion, you know immediately what Suffragette is about: perseverance. How could it not be since the year is 1912? Women have not yet been allowed to participate in the democratic process in the United Kingdom. 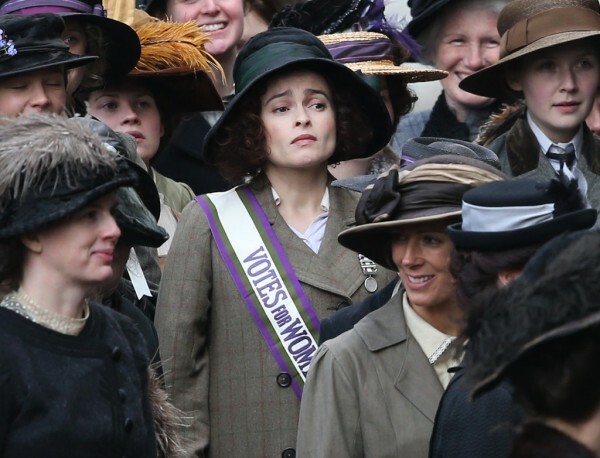 One can’t call Suffragette entertainment. 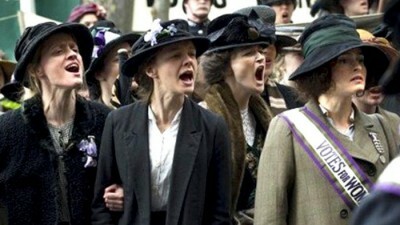 Suffragette is for a grandfather to take his young granddaughter to see, so she can better know how far, in some places, civilization has come … and to compare the plight of women of the early 20th century — not yet allowed to vote — with what happened during the Civil Rights movement of the Sixties. the only difference being the particular party that’s aggrieved — whatever decade or century — has an innate trait that’s different from those who hold the power of government: homosexuals, citizens of color and the suffragette, a female who cannot vote simply because she isn’t a male. With her third feature film, director Sarah Gavron has reconstructed the resistance some women had the courage to muster in pushing a segment of civilization farther up the ladder to a more fully realized sense of enlightenment. Gavron’s movie doesn’t fall into the comfortable niche of a breezy, fun holiday picture. 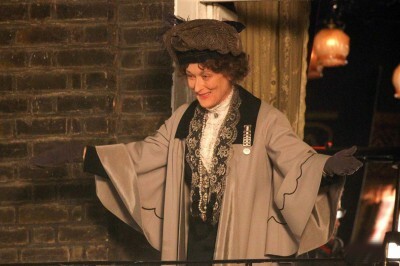 There is difficulty for us moviegoers who aren’t accustomed to hearing British accents spoken among the lower classes. Cary Mulligan takes the lead as Maud Watts, a married woman with a young son. She works in a humid laundry, along with her husband Sonny (Ben Whishaw). Being the fine actor she is, I’m sure Mulligan affects an authentic accent for her part, but with her light speaking voice, it’s not easy to hear much of what Mrs. Watts says in most scenes. Other actors in the film present to that extent as well, but Mulligan, with the most significant role, is the most noticeable. Seeing the film when it’s released later on DVD may give the option for people like me to click on English subtitles to be sure of what’s being spoken. 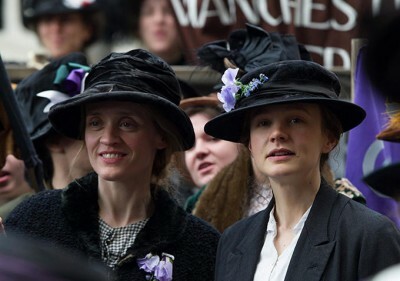 It’s the rhetoric of Pankhurst and the first person coaxing of Edith and Violet (Anne-Marie Duff) that finally bring Maud to the cause. Mulligan’s character is an ingenue in tatters, torn between being with her little boy and pressing on for suffrage. Sonny is uncomfortable with her politics and ultimately kicks Maude out of the family home. All the while, the inexorable feel of Alexande Desplat’s score marches to the historic moment when another suffragette who has not only persevered but, at last, makes the supreme sacrifice. Emily Davison, played by Natalie Press, was the person who literally stepped out of the crowd and obtained the PR needed to get the movement for a woman’s right to vote on its feet. At The Guardian website, you can watch historic newsreel footage from a century ago about what Davison did to make that happen. That scene in the Gavron’s film come close to being the real thing.